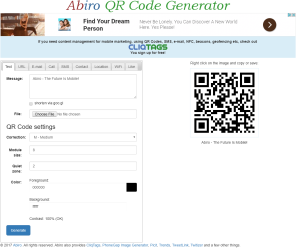 Generates QR Codes for use digitally or in print. Handles most relevant types of content. It was specified and implemented by Abiro during 2011.